Finally the day and hour has arrived for the Son of Man to be lifted up on high, to be handed over to the Jews, and to be crucified on the cross. The Gospel of John writes about this horrifying crucifixion in just two sobering sentences, as he struggled to find words to describe what he had witnessed at the site of crucifixion: “Carrying his own cross, he went out to the place of the Skull (which in Aramaic is called Golgotha). There they crucified him, and with him two others—one on each side and Jesus in the middle” (John 19: 17-18). Jesus Christ knew about this hour and He was well prepared, although for a moment, He struggled over this, as He agonized in Gethsemane. Jesus, the Son of God, was fully human and had all the pains and emotions that you and I go through in everyday life. He agonized just like any one of us would do if we knew what kind of death we’ll die tomorrow. But He agonized mainly because of the heavy burden of sins that was laid on Him who knew no sin. That’s why when He could not bear it anymore and when He had already prayed for the Jews for rejecting Him, for accusing Him of blasphemy, when He had forgiven the Roman soldiers for torturing Him, when He had taken care of His mother’s welfare, when He had promised His presence to the repentant thief hanging next to Him, Jesus finally “cried with a loud voice, saying, Eli, Eli, lama sabachthani? that is to say, My God, my God, why hast thou forsaken me”(Matthew 27:46)? It was not a cry of dereliction, but a cry of one who knows His intimate relationship to the Father and yet He could not bear it even for a second that God would turn His face away because of the sins laid upon His Son— Jesus Christ. It was also a cry of victory fully knowing that He had accomplished the task of carrying all our sins to the cross and nullifying their power over us. It was a cry of triumph over Satan and all his powers that were rallied against Jesus since he was born as a baby in a manger. Jesus fully knew that He had overcome Satan and defeated his plans by hanging on the cross. Therefore, after a few moments, when He had assessed all His accomplishments since His birth and until now, Jesus said, “It is finished” (John 19:30) before giving up His Spirit. Thank God that the cry of being forsaken earlier was not the last word from the cross! For if it was the last one then we would have no hope. He would have been forsaken by God as he hanged between heaven and earth. But no! God knew it was according to His perfect plan, so He gave Jesus the strength to suffer yet for a few more moments before He could gain His composure and say, “It is finished!” The work of salvation for the humanity is done and finished forever on the cross. Do you know that you don’t have to do anything but repent and believe in this work that Jesus has finished for you? Just accept it and live in the victory that Jesus has won for us. Amen. 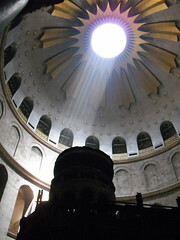 Jesus was in Jerusalem in His last days during the festival of Passover for which Jews had gathered from around the world. The city was bustling with activities related to the Passover feast. Jesus, too, wanted to celebrate the Passover with His disciples. Therefore, He didn’t leave anything to chance, but planned in advance where He wanted to celebrate the Passover—an upper Room in Jerusalem, because it was difficult to find a suitable place in the city at this time (please read John 13:1-11). As Jesus gathered with His disciples in that upper room, John states, “It was just before the Passover Festival. Jesus knew that the hour had come for him to leave this world and go to the Father. Having loved his own who were in the world, he loved them to the end.” Jesus’ love for His disciples did not diminish over the years. His love was not dependent on circumstances or what these men would do to Him or after Him. 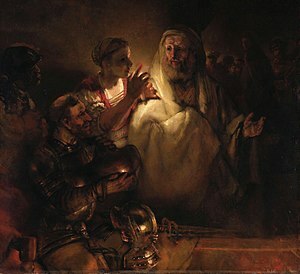 In fact, He knew that one of them, Judas, is going to betray Him with thirty silver coins in just a couple of hours. He knew that one by one, they will all leave Him alone to be persecuted by the Jewish authorities. He knew that Peter was going to deny Him that very night. He knew about each one of them and their motives for following Him in the past years. And yet, the Bible says, “Having loved his own who were in the world, he loved them to the end” (John 13:1) It was not a love to the end of the day or years, it was not even a love that lasted until “death do us apart.” Rather, it was Jesus’ genuine, divine, self-giving love, which He continued to shower upon them. He loved them so much that He expressed it by taking his garments off, picking up a basin and a towel, and stooping down like a slave to wash their smelly feet! Thus, He loved the Twelve to the point of being hurt and wounded by them. “To love at all is to be vulnerable. Love anything, and your heart will certainly be wrung and possibly be broken. If you want to make sure of keeping it intact, you must give your heart to no one, not even to an animal. Wrap it carefully round with hobbies and little luxuries; avoid all entanglements; lock it up safe in the casket or coffin of your selfishness. But in that casket–safe, dark, motionless, airless–it will change. It will not be broken; it will become unbreakable, impenetrable, irredeemable. The only place outside Heaven where you can be perfectly safe from all the dangers of love is Hell” (The Four Loves, p. 169). Amen! During the Passion Week, one incident that prominently stands out among others is Mary anointing Jesus’ feet at Bethany (please read John 12:1-11). 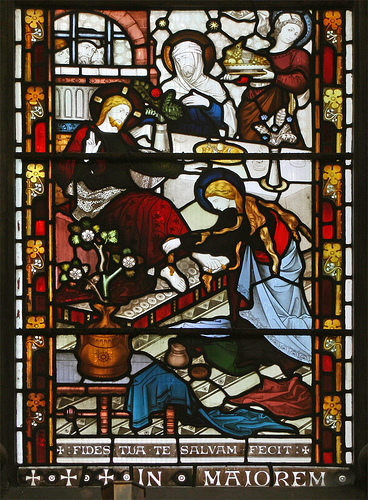 Mary, one of the sisters of Lazarus, whom Jesus had raised from the dead, expressed her gratitude to Jesus by pouring a bottle of quite expensive perfume at his feet. This family didn’t appear to be a rich family in Bethany, but over the years, it became the center of Jesus’ ministry in and around Jerusalem. However, Jesus’ disciples, especially Judas, reacted indignantly at Mary’s action and service of Jesus, the Messiah. Matthew 26:8 reads, “But when the disciples saw it, they were indignant, saying, “Why this waste?” Judas was particularly vocal and asked why the ointment was not sold and money given to the poor, as though he was the only one concerned about the poor! But, as John rightly records, Judas said this “not that he cared for the poor but because he was a thief, and as he had the money box he used to take what was put into it” (John 12:6). We have today, in many churches, similar people whose purpose of being around Jesus or inside the church is to somehow keep an eye on the money and to steal from it whenever the opportunity arises. They don’t have a clue about the poor or their needs. They do not bother about the needs of world missions or anything like that. They do not know how to serve, and they lack a sense of calling, but you’ll find them in all important positions of the church. They steal, rob, and destroy churches and ministries by their insatiable greed. However, Jesus came to the rescue of Mary and rebuked Judas and others: “Let her alone” (John 12:7). Unfortunately, there aren’t many people today in the church that oppose such thieves and scoundrels. Many a cases of financial embezzlement and irregularities in the churches and Christian organizations go unchecked or are swept under the carpet. People don’t like to confront or expose such people. It’s high time the churches stopped tolerating such greediness and gross misuse of people’s money. What would you do if you knew about your leaders’ engagement in any such activity? Would you tolerate it, expose it, or close your eyes and mouths shut when you see such things at your church/organization? God bless. 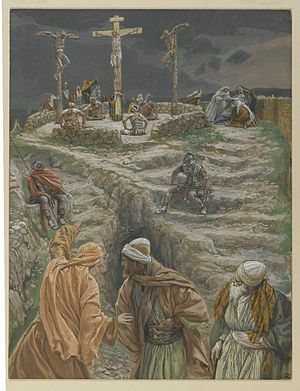 According to Mark 11:27, on the second day of the Passion Week, Jesus and His disciples “arrived in Jerusalem again.” Remember, Jesus had withdrawn from all the commotion in the city and went down to Bethany. On the second day, as they went back to Jerusalem, on the way Jesus saw a fig tree and looked for fruit in it, but finding none, He did a seemingly strange thing—He “cursed” the tree! (see Mark 11: 12). And on the next day, Jesus’ disciples noticed that the fig tree had withered to its roots (Mark 11:20; Matthew 21:18-19; 20-22). Many people take offence at this and ask several difficult questions about this act and its consequences. Well, it is not an easy task to explain everything about this act as we neither have the space nor all details; however, it was not an impulsive incidence that took place because of intemperance. In fact, Jesus used this act as a visible parable to teach His disciples, and many others, a lesson for life. Jesus found this as an odd tree which had leaves but no fruit. In reality, on such trees the fruit came before the leaves in Israel. A tree full of leaves gave the impression that there would be fruit on it, but Jesus found it fruitless. Jesus used this as a living analogy to teach us that such a fruitless tree represented Israel, the chosen people of God. God did everything that He could for them, and yet, when His Son Jesus came to Israel, He found it fruitless. Therefore, according to the Scriptures, such a fruitless tree deserved nothing but withering to the roots (see Psalm 90:6; Hosea 9:16). Jesus showed through this act that the nation of God’s people has become a worthless entity which had the appearance of being righteous, but in reality, it was a fruitless tree that was worthy of nothing but destruction. In fact, it was a prophetic act of Jesus, as the destruction of Jerusalem happened just a few years later in AD 70 through the hand of Romans. It is a lesson for the followers of Christ, too. God has done in and through Christ everything for our salvation. He expects real fruit of righteousness from our lives and not just an appearance of being a disciple. Any believer found fruitless will have to suffer the same fate of the fig tree. Therefore, let’s examine our lives and mend our ways in such a way that we become fruit-bearing branches of the Vine (see John 15:1-17). Amen. Perhaps this prayer was inspired by Jesus’ attitude to the reaction of Jewish people particularly during His triumphant entry into Jerusalem (see Matthew 21:1-17, Luke 19: 28-44 ). People were ecstatic and shouted with joy their hosannas and halleluiahs. 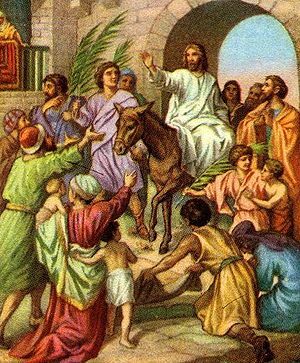 They spread their clothes and palm branches on Jesus’ way and appeared to hail Him as the king of Israel. However, there’s a little but meaningful verse in Matthew 21: 17 (NIV): “And he left them and went out of the city to Bethany, where he spent the night.” Jesus was unmoved by the praises and popularity and quickly withdrew from it all, as He fixed His eyes upon the cross. He would not let empty human praises, and hollow popularity among them come in the way of His clear vision and His mission. He would not trust people’s praises, as He knew that in just a few days these very people would also be joining the chorus, “crucify him, crucify him!” Therefore, He kept His eyes fixed on the sovereign God and the calling He had received from His Father. No worldly gain or calling could divert His attention from fulfilling what God had called Him to do for the salvation of humanity. be thou and thou only the first in my heart; O Sovereign of heaven, my treasure thou art.” Amen. After His wilderness experience Jesus returned to Galilee, his home. He did so glowing from being in the presence of God, and full of the anointing and power of the Holy Spirit. You would expect that people must have been in awe of Him, accepted His teachings, repented from their sins, and soon He was a great leader with a huge following. Well, the first reaction at home was great, as Luke says, “Jesus returned to Galilee in the power of the Spirit, and news about him spread through the whole countryside. He was teaching in their synagogues, and everyone praised him” (Luke 4:14-15 NIV). However, as soon as Jesus began to apply the Word of God to Himself and preached about God’s grace in choosing Israel, out of many nations, to be His people, the folks got mad at Jesus. In the same chapter 4, where we just saw people praising Him, Luke further says, “All the people in the synagogue were furious when they heard this. They got up, drove him out of the town, and took him to the brow of the hill on which the town was built, in order to throw him off the cliff. But he walked right through the crowd and went on his way” (Luke 4:28-30 NIV). They were His own people, as they knew Him and His family well. They did recognize God’s presence with Him and the anointing and authority with which Jesus spoke to them: “And all spoke well of him, and wondered at the gracious words which proceeded out of his mouth…” (Luke 4: 22 RSV). But as I just said, they became indignant the moment Jesus proclaimed that God’s Word is about Him and for Him. He applied the words of prophecy to Himself. He also proclaimed the gospel of grace by citing the history of Israel that deals with God’s act of choosing people for His purpose and glory through His grace alone and not because of their merit. People were not ready to accept it and immediately wanted to end His life. The world is no different today. We often expect that our life will be easy and received well once we spend time with God and are anointed by the Holy Spirit for His work. All people will just praise us and glorify our life and ministry. In fact, this is exactly the impression that many televangelists and prosperity preachers give today as they show images of “miracles” amidst huge crowds in mega cities of the majority world. They claim to be popular because God is supposedly with them and working through them. But we need to test if they’re living according to the Word and preaching the gospel of Jesus Christ. This Lent, we need to pause and reflect on the life of Jesus and assess our lives today in light of Jesus’ life and the Word of God. Are we applying daily the Word of God that we received in our wilderness experience in our lives or are we just listening/reading it? Satan is very happy if we only read or listen, but we will make him really mad the moment we begin to apply it in our lives personally. The world is not going to love it; in fact, they are going to hate us and shun us completely when we walk in the light of His Word and the grace brought to us through the gospel of Jesus Christ. However, miracles or no miracles, God’s Spirit and His power are always with us and He will help us lead a holy life according to His Word. The world is not going to accept us or receive us favorably if we proclaim the gospel of grace, as Jesus Himself has already warned us in John 15: 18-27. May God’s Spirit be with you this weekend. Amen. We have a lot to learn not only from the wilderness experience of Jesus, but also from the Israelites, as their experience has a plenty of similarities with Jesus. Out of the crucible of the wilderness experience God has an amazing way of producing some godly leaders. For example, Moses and Jesus both chose their disciples before finishing their earthly missions. For today’s devotional, please read Deuteronomy 31-6-8. These are Moses’ parting words to the people of Israel and to his beloved disciple, Joshua. What a great legacy Moses left for his followers—to be strong and courageous along with the promise of God who will not leave, fail, or forsake them. A whole generation of young leaders was inspired to cross over to the Promised Land by Moses’s words. They become more significant if one considers that they are spoken by a veteran leader who has been trained by God mainly through the crucible of a series of wilderness experiences. 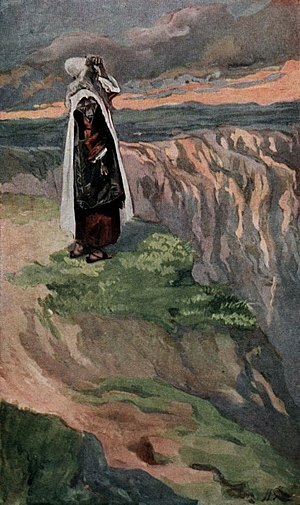 You might imagine that Moses must have become a very bitter, frustrated, and negative person after all the wilderness problems he has been through. In spite of being faithful and a man who did as the Lord commanded him, Moses was barred from entering the Promised Land. On the contrary, we find that at the end of his life, Moses oozes confidence and courage in God through his presence and words. He challenges and motivates the new generation to press on to the Promised Land to make it theirs. Jesus, too, came out of the wilderness full of the Holy Spirit and the confidence of God’s power and presence was reflected daily in his ministry. Immediately after return from the wilderness, Jesus also chose the Twelve and prepared for the ministry ahead (see Luke 5:1-11). It is a given that the wilderness experiences of our life can make us bitter and negative. What is the crucible of wilderness doing to you and your confidence? Are you turning your negative thoughts into positive ones so that you, too, can become an instrument ofencouragement and motivation for others to follow Christ? If you are in the leadership position, are you doing your best to develop a second line of leadership who will carry out the mission of God? 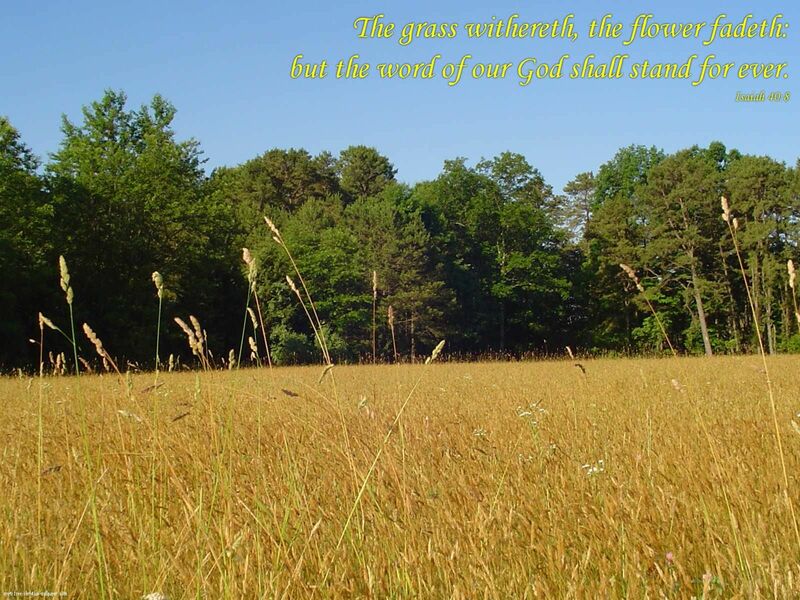 May God turn our crucible of wilderness a matter of His glory. Amen. The wilderness account of Jesus in Luke’s gospel chapter 4 is sandwiched between these two significant statements: “Jesus, full of the Holy Spirit, left the Jordan and was led by the Spirit into the wilderness” (4:1). After the devil “left Him until an opportune time,” Luke makes a point again, “Jesus returned to Galilee in the power of the Spirit, and news about him spread through the whole countryside” (4:13-14 NIV). This is a very encouraging observation. The wilderness experience of Jesus was according to God’s plan. God’s Spirit led Him into the wilderness to be tempted by the devil. And He made sure that when he went in there, Jesus was “full of the Holy Spirit.” Obviously, God’s Spirit didn’t leave Him alone in these difficult times. As a matter of fact, Jesus had such a fabulous time in the presence of God during His wilderness experience that at the end of it He returned to Galilee “in the power of the Spirit” (4:14). He would not actually dare venture out without being first “full” of the Spirit and then being led in the “power of the Spirit” to do what He was sent to do on earth. The Spirit of God accompanied Him and empowered Him for His daily ministry of preaching, teaching, and healing. Jesus was completely dependent on the Holy Spirit as His companion as well as the source of His ministry. Therefore, at the inaugural speech of His ministry in Galilee, in what is referred to as the “Nazareth Manifesto,” Jesus’ first words were: “The Spirit of God is on me, because he has anointed me…” (Like 4:18 NIV). The Lord is faithful and He knows that in our own strength we cannot travel through the wilderness. Therefore, He has provided us, too, the uninterrupted presence and power of the Holy Spirit (please read, John 14: 25-27 and Acts 1:8). The Spirit is called our Helper, Comforter, and Advocate. He is the One who comes along side us and remains beside us to speak on our behalf. If you find yourself in a wilderness, today, where you feel lonely and deserted by even your loved ones, don’t be disheartened. Reread prayerfully the passages mentioned above, right now, and ask the Lord to fill you with the Holy Spirit. God has promised the Spirit to every believer. If you have never experienced the filling of the Holy Spirit; maybe, it’s your day today to claim your gift. 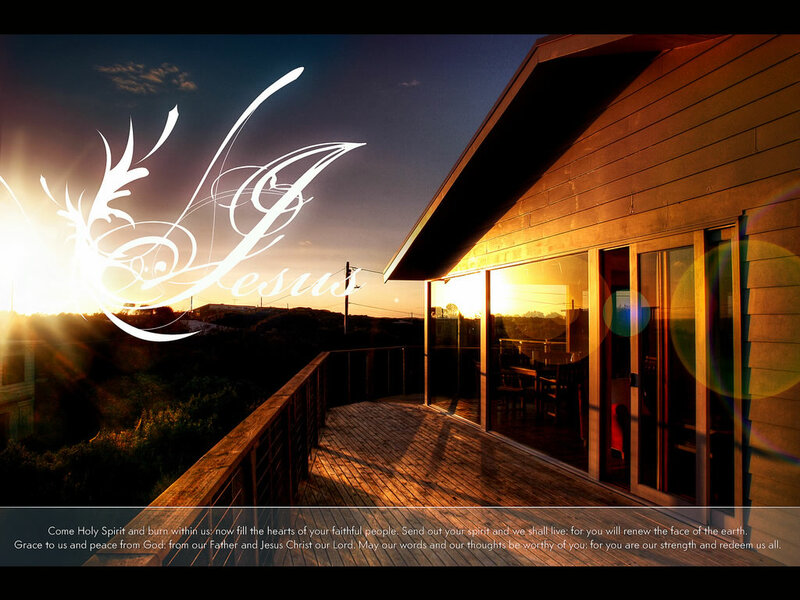 He waiting to fill you and live in and with you forever, as a beloved child of God. The Spirit will guide you as He did Jesus not only in the wilderness but also throughout your life. Let us not attempt living through our difficult wilderness experiences without the fullness and power of the Holy Spirit. May we go ahead in the rest of the journey in the power of the Spirit. Amen. Regarding Israel’s experience in the wilderness, there’s an interesting fact stated in the book of Deuteronomy 2:14 (NIV): “Thirty-eight years passed from the time we left Kadesh Barnea until we crossed the Zered Valley. By then, that entire generation of fighting men had perished from the camp, as the LORD had sworn to them” (also see Deut. 1:46). That is 95 percent of their journey in the wilderness was spent in and around Kadesh Barnea, a place not very far from the Promised Land! 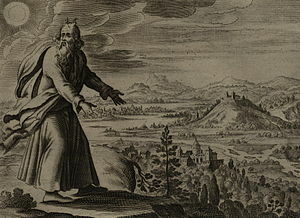 Moses tells that it was only about 11 day’s journey but it took them about 38 years (see Deut. 1:2-3; 2:14). It was from Kadesh Barnea that Moses had sent out spies to explore the Promised Land (Joshua 14:7). The meaning of the name of this place is not very clear, but it’s believed that the Israelites named it so because they regarded it as a ‘holy,’ ‘sacred’ place. It also meant a ‘spring’ of judgment or ‘refreshment,’ because most of their ancestors (1.5 million people) died and were buried in this place (Numbers 14:29-35). It was a not a bad place to dwell and maybe that’s why they spent so many years in it. However, Kadesh Barnea was not the place that God had chosen for them. It was not the Promised Land into which God was leading them. But they got tired of waiting for it and wished to settle down there. God, however, remembered His promise to His people and did finally lead a remnant of people into His intended place for the Israelites—Canaan—just a few days journey from there. It can happen with us, too. God may be leading us into His best place, but in the wilderness journey we often get exhausted. And we often settle down for what we see around as good forgetting God’s best for us. The comfort of our today’s situation in life may become a hindrance for us to keep seeking what God ultimately has kept for us. Recall in prayer today the day when you were born again or became a follower of Christ. Recall the passion you had to grow in Him and to study and live by His Word, the desire you had to serve Him and make His name known among the nations. But, perhaps, on the way, you’ve lost that desire and seem to be happy with what you have now. However, today, God wishes you to look up to Him in earnest, and to trust Him to take your hand and lead you with Him to the place that God intends for us to be—our Promised Land. Are you willing to walk with Him all instead of remaining a long time at Kadesh Barnea (Deut.1:46; Judges 11:17)? Amen.